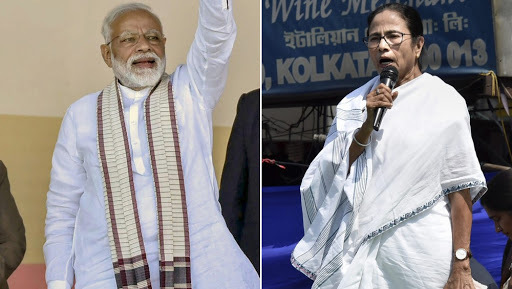 Kolkata, April 17: The debate over the release date of Prime Minister Narendra Modi's biopic is still not solved, another alleged biopic of West Bengal Chief Minister Mamata Banerjee has now been entangled in political controversy after BJP's West Bengal unit wrote to Election Commission, seeking a review of the movie. Writing an official comment to the Chief Electoral Officer of West Bengal, BJP's state vice president Joy Prakash Majumdar in their complaint said, "This is to draw your attention to the news in the media that a biopic allegedly of Smt Mamata Banerjee will be released on 3 May 2019 (Name: Baghini)." PM Narendra Modi Biopic: T-Series Removes the Trailer of Vivek Oberoi's Next From its YouTube Page and We Wonder Why. Adding more, it wrote, "Bharatiya Janata Party requests the Hon'ble Election Commission of India and its representatives in West Bengal the CEO to review the said biopic before release, on similar lines that was done by Hon'ble Election Commission in the case of another biopic depicting Shri Narendra Modi." Earlier the Supreme Court referred the release day issue of Vivek Oberoi starrer biopic of PM Narendra Modi with the Election Commission. Congress had demanded that the movie should be released as the model code of conduct is in place due to Lok Sabha Elections 2019.